The tour was very educational and enjoyable. The Bali Bird Park had around a thousand bird species which were all beautiful. It’s an attraction that would appeal to kids and adults alike. The centuries old Batuan and Pura Goa Gajah (also called Elephant Cave) temples turned out to be rich in history, and provided a glimpse into Hindu Balinese culture compared to othet attractions. The Pura Goa Gajah temple is not recommended for the elderly though as it involves going up and down 100 steps. A Balinese lunch is included in the tour but it won’t necessarily be done at 12NN. 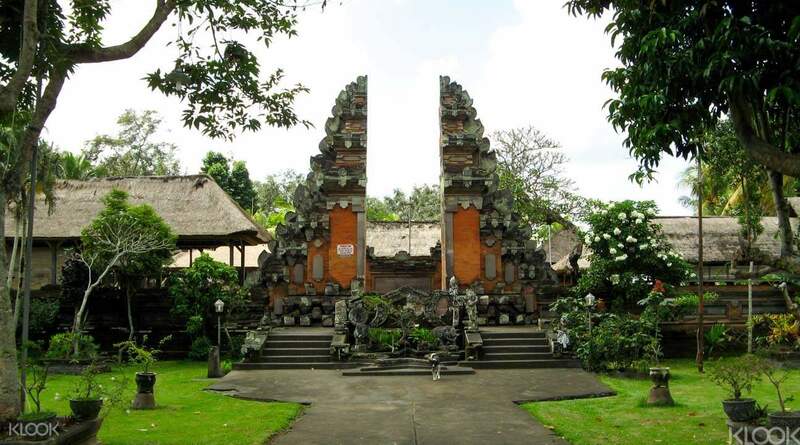 Get away from the beach and head to central Ubud, the cultural center of Bali. Filled with galleries and workshops, it is the birthplace of modern Balinese art. Begin the day at Bali Bird Park, where you can see birds from all across the Indonesian archipelago and even meet the resident Komodo Dragon! After your close encounters, head over to Pura Desa Batuan and learn more about Bali’s Hindu heritage at this 1,000 year old ancient preserved temple. Once you reach Ubud proper, stop by Bebek Bengil for the famous crispy duck and laze around on their beautiful villa grounds. 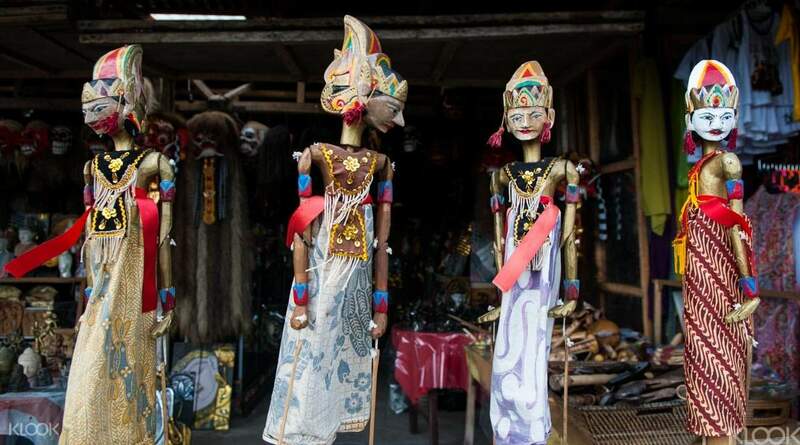 After eating, browse through Ubud’s many markets and art galleries. This is the perfect place to pick up souvenirs from local artisans for friends back home. 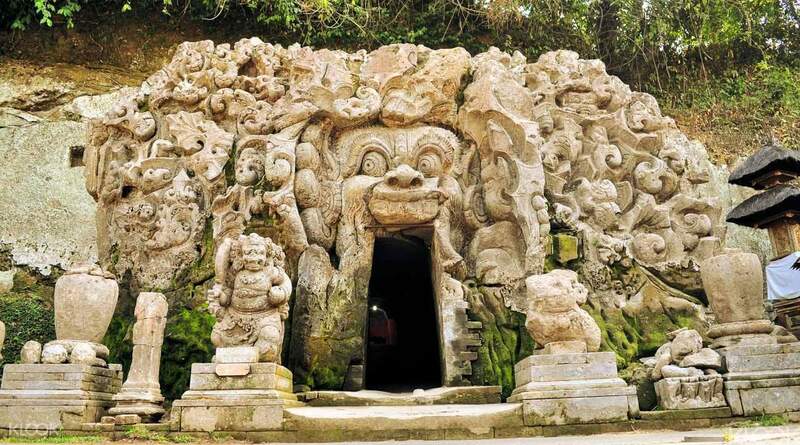 Finish off the day with a visit to Goa Gajah, a beautiful temple complex with intricate sculptures and reliefs nestled on beautiful grounds on the outskirts. Enjoy some of Bali’s best scenery as you head back home. Ubud is known as the cultural centre of Bali - filled with galleries and workshops, it is the birthplace of modern Balinese art. Begin by getting a taste for Bali's wildlife and history at Bali Bird Park and Pura Desa Batuan, one of Bali's oldest temples, renowned for its well-preserved ancient architecture before venturing onwards to Ubud, the artistic hub of Bali. In Ubud, enjoy a local lunch and market shopping experience before heading to Goa Gajah (Elephant Cave), a temple dating back to the 11th century. We had an awesome day thanks to our tour guide, Kadek. 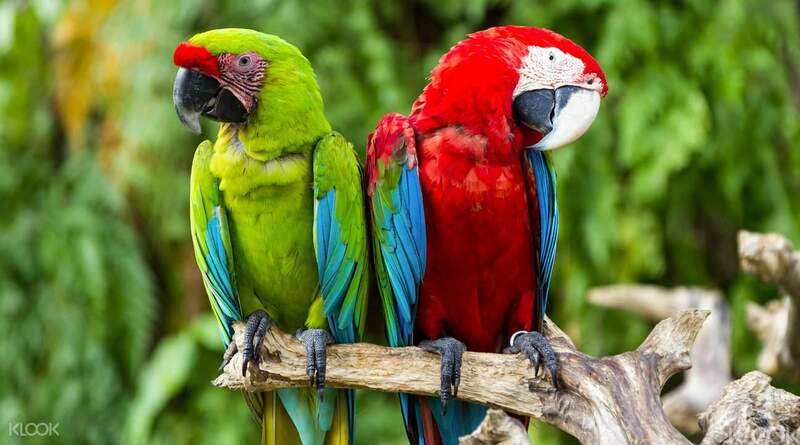 Bali bird park is recommended for families! We had an awesome day thanks to our tour guide, Kadek. Bali bird park is recommended for families! The tour was very educational and enjoyable. The Bali Bird Park had around a thousand bird species which were all beautiful. It’s an attraction that would appeal to kids and adults alike. The centuries old Batuan and Pura Goa Gajah (also called Elephant Cave) temples turned out to be rich in history, and provided a glimpse into Hindu Balinese culture compared to othet attractions. The Pura Goa Gajah temple is not recommended for the elderly though as it involves going up and down 100 steps. A Balinese lunch is included in the tour but it won’t necessarily be done at 12NN. The tour was very educational and enjoyable. The Bali Bird Park had around a thousand bird species which were all beautiful. It’s an attraction that would appeal to kids and adults alike. The centuries old Batuan and Pura Goa Gajah (also called Elephant Cave) temples turned out to be rich in history, and provided a glimpse into Hindu Balinese culture compared to othet attractions. 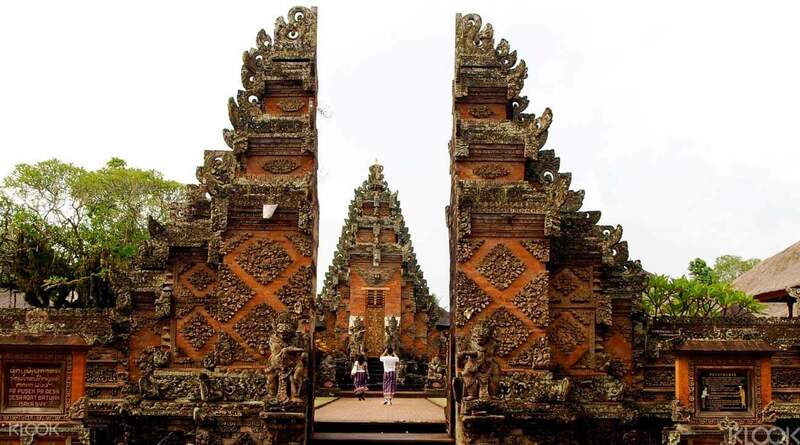 The Pura Goa Gajah temple is not recommended for the elderly though as it involves going up and down 100 steps. A Balinese lunch is included in the tour but it won’t necessarily be done at 12NN. Excellent in every way. Was pleasently surprised to discover it was a private tour just for my wife and me. Guide and drive and brand new car all deluxe class. Even accomodated our request for Indian lunch. Very happy with the experience. Excellent in every way. Was pleasently surprised to discover it was a private tour just for my wife and me. Guide and drive and brand new car all deluxe class. Even accomodated our request for Indian lunch. Very happy with the experience. Wonderful. Our driver and tour guide was great. We had a wonderful time. Mayumi and the driver were awesome. Highly recommended. Wonderful. Our driver and tour guide was great. We had a wonderful time. Mayumi and the driver were awesome. Highly recommended. it was very hot in bali but did not stop us from enjoying it! the tour was very educational and interesting. it was very hot in bali but did not stop us from enjoying it! the tour was very educational and interesting. It's a very nice local tour! The guide arrived 10 mins earlier and wait us at the lobby. The food for lunch is tasty and the scenic is very good too. It's a very nice local tour! The guide arrived 10 mins earlier and wait us at the lobby. The food for lunch is tasty and the scenic is very good too. I was super excited about this trip because I have read about it in different blogs and the reviews were also really good. However, my friend and I had quite a mediocre experience, starting off with our tour guide, he was very accommodating but we felt as if we were being ripped off because some of the tours stated in the itinerary were not really followed and we had to remind him about the places that we have to go to. Also, our driver’s driving got us very dizzy. It was not really a pleasant experience. But the places were quite nice especially the bird park, it was something I did not expect. Ubud market, I think, was quite overrated and some of the items there were quite expensive. We got cheaper souvenirs in Kuta near our Hotel. I was super excited about this trip because I have read about it in different blogs and the reviews were also really good. However, my friend and I had quite a mediocre experience, starting off with our tour guide, he was very accommodating but we felt as if we were being ripped off because some of the tours stated in the itinerary were not really followed and we had to remind him about the places that we have to go to. Also, our driver’s driving got us very dizzy. It was not really a pleasant experience. But the places were quite nice especially the bird park, it was something I did not expect. Ubud market, I think, was quite overrated and some of the items there were quite expensive. We got cheaper souvenirs in Kuta near our Hotel. i hope the tour includes the Tirta Empul temple instead of going to the many shops in Ubud. It's very pricy for a tour that take you more to shops than tourists' destinations. plus the tour ended at 2:30 pm after lunch and we have not even gone to the Ubud Market. They were asking us where we want to go instead of taking us to the Ubud Market themselves as included in the package so we were taken aback. We were the ones to tell them to take us to the Ubud Market and leave us there because we were a bit confused already why they told us that the tour has already ended when the schedule said that the the tour will end at 6:30 pm. I think that it's better if we just hired a driver like we did for day two and make our own itinerary. I spent too much for this. The tourguide and driver however are professional. It is however too expensive. We could have done a better tour ourselves...if only we were prepared with the locations. i hope the tour includes the Tirta Empul temple instead of going to the many shops in Ubud. It's very pricy for a tour that take you more to shops than tourists' destinations. plus the tour ended at 2:30 pm after lunch and we have not even gone to the Ubud Market. They were asking us where we want to go instead of taking us to the Ubud Market themselves as included in the package so we were taken aback. We were the ones to tell them to take us to the Ubud Market and leave us there because we were a bit confused already why they told us that the tour has already ended when the schedule said that the the tour will end at 6:30 pm. I think that it's better if we just hired a driver like we did for day two and make our own itinerary. I spent too much for this. The tourguide and driver however are professional. It is however too expensive. We could have done a better tour ourselves...if only we were prepared with the locations.